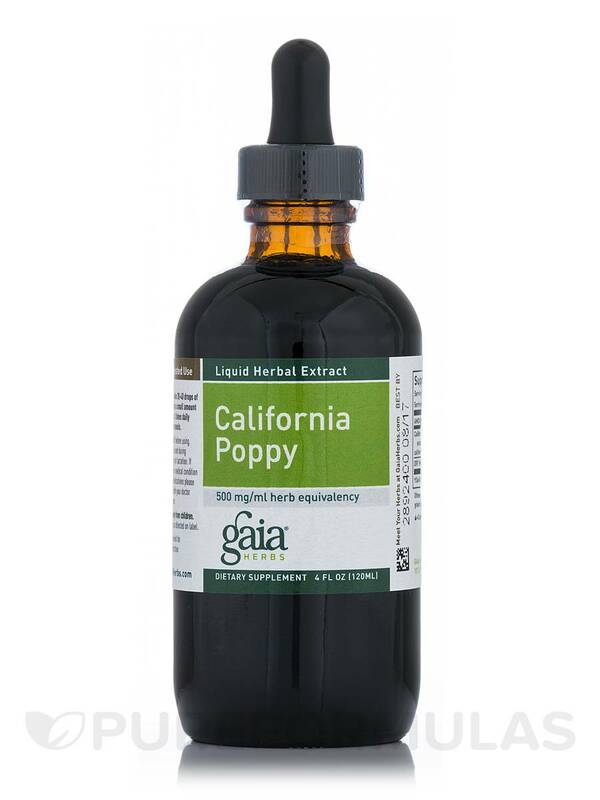 If you are looking to relax your mind and body to reduce potentially stress and sleeplessness‚ then California Poppy from Gaia Herbs® may be the answer. 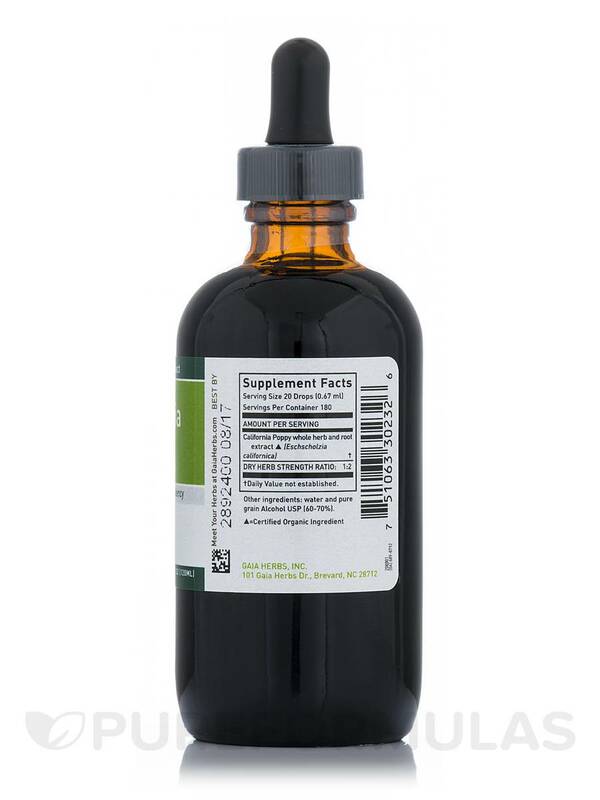 This liquid herbal extract may work as a tonic for your nervous system and support healthy functioning. California Poppy or Eschscholzia Californic‚ the only primary ingredient in this health supplement‚ reportedly has sedative and analgesic properties. It may calm your mind and body‚ reduce muscular pain‚ and keep fevers at bay. Studies reveal that California poppy extract may reduce anxiety and excitability during the day and induce peaceful sleep at night to promote your general wellness. Its cognitive supportive properties may improve your memory and alertness. 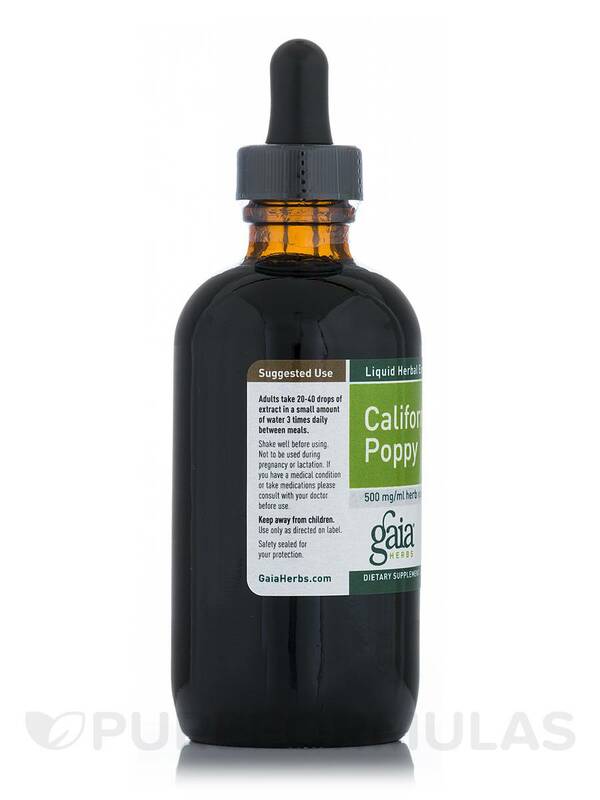 California poppy extract in this dietary supplement from Gaia Herbs® may relieve mental and physical stress to combat anxiety and restlessness. It helps ease tension headaches‚ irritability‚ symptoms of low mood‚ and joint pain too. Introduce California Poppy Gaia Herbs® into your diet and it may reduce nervousness and help you sleep better. California Poppy tops & root** (Eschscholzia californica)‚ 60-70% Pure Grain Alcohol USP and water. Minimum Dry Herb Strength Ratio: 1:2. Adults take 20-40 drops of extract in a small amount of water 3 times daily between meals. If you have a medical condition or take medications‚ please consult with your doctor before use.